We are thrilled to share the gorgeous cover for Cherish, by New York Times Bestselling Author Tracey Garvis-Graves. This novella is a companion to Covet. 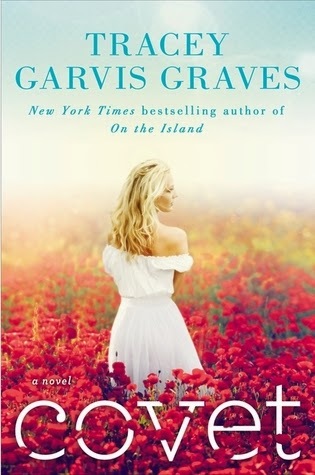 Fans of Covet by New York Times bestselling author Tracey Garvis Graves will be delighted by this novella-length sequel. When Daniel Rush wakes up in the hospital after suffering a gunshot wound to the head, the last person he expects to see at his bedside is his ex-wife Jessica. Their marriage disintegrated after the death of their infant son Gabriel, and Daniel gave Jessie what he thought she wanted: the freedom to start over with someone else. But Daniel never updated his emergency contact information, and Jessie is the one who receives the call with the devastating news. Daniel was Jessie’s one true love. Together since college, Jessie had dreams of raising a family with Daniel, and growing old together. When Gabriel died, Jessie buried those dreams with her beloved son and shut everyone out, including Daniel. Daniel faces months of grueling rehabilitation and he’s going to need some help. Jessie is the last person anyone expects to volunteer, but this is her one chance to make amends, giving her and Daniel a shot at getting things right this time. The road to recovery will be long and arduous. But with Jessie leading the way, Daniel just might be able to get his old life back. Daniel knows how to covet. But can Jessie help him remember how to cherish? *Please note that this is a novella-length sequel. Reading Covet before Cherish is highly recommended in order to enhance your reading pleasure.